The MAPP Research team includes collaborators in psychology and epidemiology from multiple research institutions around Australia. The team is led by researchers from Deakin's School of Psychology and Centre for Social and Early Emotional Development, in partnership with investigators from Deakin's School of Health and Social Development, Austin Health's Parent-Infant Research Institute , the Family Action Centre at the University of Newcastle, Monash University and the Murdoch Childrens Research Centre. Dr Macdonald is a senior lecturer in the School of Psychology at Deakin University and a research fellow with the Centre for Social and Early Emotional Development (SEED), where she co-leads the Lifecourse Sciences Theme. She is an honorary research fellow of both the Murdoch Childrens Research Institute and the Department of Paediatrics at the University of Melbourne. Dr Macdonald works with a range of longitudinal studies including the Australian Temperament Project (ATP) Generation 3 Study based at the Royal Children's Hospital, Melbourne. She co-convenes the Australian Fatherhood Research Consortium; she is a member of the Scientific Advisory Group for the Australian Longitudinal Study of Men’s Health and she is a contributing editor of the Australian Fatherhood Research Bulletin. Her research explores intergenerational family processes; developmental factors through childhood, adolescence and young adulthood that are associated with subsequent maternal and paternal caregiving; antenatal and postnatal mental health and men's family and social connectedness. Dr Macdonald conceptualised and leads the MAPP Research Program. Lauren Francis is the project coordinator for MAPP. She works with Dr Jacqui Macdonald to coordinate MAPP project resources and research assistants. Lauren is a PhD Candidate in the School of Psychology at Deakin University. Lauren is particularly interested in fathers’ wellbeing. Her research explores the influence of fathers’ sleep on their mental health and the effect of fathers’ traits on their responses to their infant’s emotions. A/Prof Fletcher is an Australian leader in paternal perinatal mental health and in father-inclusive practice. He is based at the Family Action Centre at the University of Newcastle. A/Prof Fletcher's expertise includes the design and conduct of research into fathers' role in families across diverse settings such as separated parents, new fathers, antenatal support, rough and tumble play with children, and fathers using the web. His book "The Dad Factor: How the Father-Baby Bond Helps a Child for Life" (Finch 2011) has been translated into Spanish, German, Korean and Chinese. He is editor of the ARACY Fatherhood Research Bulletin and lead investigator on the innovative SMS4dads project funded by BeyondBlue, which uses app-based technology to reach and support new fathers. A/Prof Knight is an expert in qualitative research with a focus on adult development. She is also a registered Psychologist with the Psychology Board of Australia. Her research interests include barriers to social inclusion and connectedness; depression across the lifespan; and successful or positive ageing. A/Prof Knight has expertise in intergenerational research and is engaged in interventions for parents of children with depression as an investigator on the Australian Research Council-funded Family Options Project. Professor Williams is an epidemiologist in the School of Health and Social Development at Deakin University. She also holds the position of Principal Research Fellow at the Murdoch Childrens Research Institute and holds honorary positions with the Department of Paediatrics at the University of Melbourne and in the School of Psychology at Deakin University. She has 30 years of experience in public health epidemiology and has been a Chief Investigator on several large population based surveys, including the Melbourne Collaborative Cohort Study and the 2009 Victorian Adolescent Health and Wellbeing Survey. She is a member of the steering committee for the national men's Health Study, Ten-to-Men. Her research experience encompasses studies from birth to adulthood with a particular focus on associations between of social determinants of body weight and mental health. Professor Milgrom is Director of Clinical and Health Psychology at the Parent-Infant Research Institute at Austin Health, Melbourne, and a Professor of Psychology at the University of Melbourne. She has published widely in the area of postnatal depression, infant mental health, parent-infant interventions and health psychology, and has more recently turned her interests to understanding fathers' psychological health during the perinatal period. Professor Milgrom is a past president of the International Marcé Society for Perinatal Mental Health, Adjunct Professor, School of Applied Psychology, Griffith University and Fellow, Australian Psychological Society. Professor Skouteris is the Monash Warwick Alliance Joint Professor of Healthcare Improvement and Implementation Science at Monash University. Her work is focused on establishing long term collaborative research and education/training programs in healthcare improvement, implementation science/health services research. 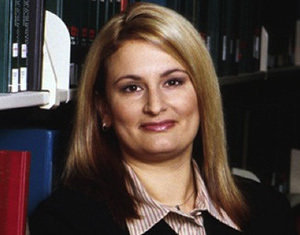 She is an expert in parental and child health and wellbeing; her research has focused particularly on familial and psychosocial determinants of childhood and maternal obesity, the antecedents and consequences of maternal body dissatisfaction during pregnancy and the postpartum, and maternal and paternal mental health and wellbeing during the prenatal period. Professor Skouteris is a MAPP Research Program strategic advisor. Professor Olsson is Director of the Strategic Research Centre for Social and Early Emotional Development in the School of Psychology at Deakin University. He is also the National Convenor of Australian Research Alliance for Children and Youth (ARACY) Longitudinal Studies Network, a network that brings together around 20 mature longitudinal studies of child and adolescent health and development in Australia and New Zealand with the aim of informing innovation in prevention practice and policy. He specialises in longitudinal and life-course research with a particular focus on child and adolescent development. Professor Olsson is a MAPP Research Program strategic advisor.